Keith Giffen will still cash DC's checks, but he's definitely not happy with the overall storytelling direction the company has taken (and, based on what I've seen from the increasingly inaptly named "Brightest Day," continues to take). And while I agree with him on that point, the ire that filled this book made it hard to read at times. 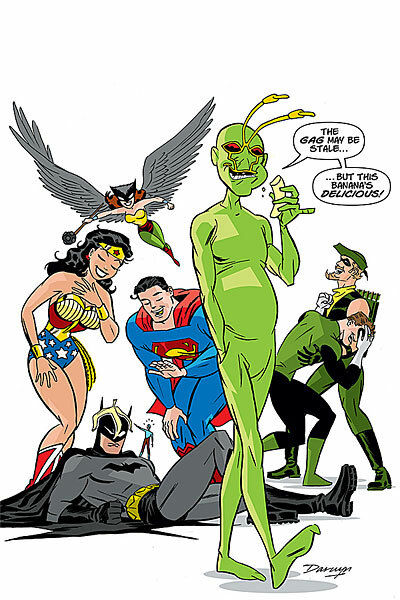 The various Ambush Bug mini-series and specials over the years always laughed the follies and foibles of DC's publishing history, but you could tell that was done out of love and appreciation, like a Friars' Club roast on paper. Year None, though, it just seemed like a long series of complaints. If the original Bug books inspired the "Hey, look at that! Silver Age DC Comics were insane!" 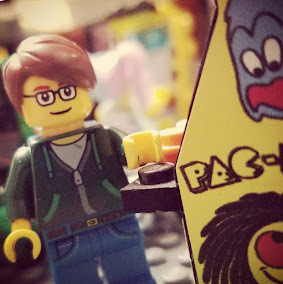 outlook that inspired the comics blogosphere in the beginning, Year None is the "comics were better when I was a kid" sort of outlook that it has now.